There are two references to Jesus in pagan literature the value of which is often unappreciated or underappreciated: those by Pliny the Younger and Lucian of Samasota. The authority of these two witnesses is seldom taken into consideration. Each displays a high degree of intelligence, and was well-qualified in ways that would put them in a position of authority to speak as witnesses to the existence of Jesus. Critics have the burden of explaining why intelligent sources such as these two ought not to be trusted. Although a few critics in previous centuries claimed otherwise, there is really no doubt about the genuineness of this reference. Van Voorst notes that the “style matches that of the other letters” in the same book, and the letters “were known already by the time of Tertullian (fl. 196-212).” That the letter is some kind of Christian creation is a position that is not taken seriously today. Pliny had unique qualifications that make this reference more valuable than we might suppose. Wilken, although saying that Pliny’s knowledge of Christianity was “largely second- hand,” also points out that prior to being a governor, Pliny held a position as a state priest. His job as state priest included acting as an overseer in the state religion. As Wilken further notes in a quote from Cicero, who was himself formerly a state priest, those who aspired to this position ought to be distinguished citizens who would “safeguard religion by the good administration of the state and safeguard the wise conduct of religion.” A member of the priesthood, in order to “safeguard the wise conduct of religion,” should be expected to be “in the know” about religion. In light of the fact that Christianity was recognized as a threat to public order, Pliny certainly had to know something about it in order to fulfill his duties. It may be objected that because Pliny uses the words, “For whatever the nature of [the Christians’] creed might be,” Pliny clearly had no prior knowledge of Christianity. But once we look at these words in their context, we find that they are not the words of a man with no prior knowledge of Christianity, but rather, the words of a man who is covering himself in case he has made a mistake. Pliny immediately follows those key words with a point that the “bad attitude” the Christians had towards his authority was such that he argues that they deserved punishment; in other words, he is saying, “Trajan, just in case the creed these people hold to doesn’t deserve punishment to the extent I punished them, I want you to know that they did something that deserved that punishment anyway!” This is no offhand reference indicating ignorance, but a bureaucrat covering himself in case of error. It is therefore likely that, while his knowledge of Christianity itself was largely second-hand, he also had firsthand knowledge of basic facts such as Jesus’ existence, or else had sufficiently educated himself about the movement so that he had the quality-equivalent of firsthand knowledge. Devaluing Pliny’s references with insults to Pliny’s intelligence (e.g., “he uncritically accepted the word of Christians”) is a mere contrivance that could be used to devalue any historical reference that we find uncomfortable, or inconvenient to our preconceived theories. We learn that Jesus was worshipped, and that believers died for belief in Him, in the early second century. This must receive a plausible explanation that the mythicist cannot provide. We learn of several aspects of worship that correspond with the NT: Worshipping on a fixed day, practice of the Eucharist, and the ethical grounding of Jesus’ teachings. From this satirist and playwright of the second century, we have two quotes from a play entitled “The Passing of Peregrinus.” The hero of the tale, Peregrinus, was a Cynic philoso- pher who became a Christian, rose in prominence in the Christian community, then returned to Cynicism. Lucian’s attack is not so much on Christianity, but on the person of Peregrinus, who took advantage of the Christians’ simplicity and gullibility. This reference has been seriously undervalued. There is good reason to accept Lucian’s testimony as solid evidence for the existence of Jesus and for historical data about Jesus’ life. One of Lucian’s lesser-known works is a treatise entitled “The Way to Write History,” addressed to Lucian’s friend, Philo. Using this work, we can answer an important question about Lucian that significantly increases the value of his reference to Jesus: Was Lucian concerned with historical accuracy? History...abhors the intrusion of any least scruple of falsehood; it is like the windpipe, which the doctors tell us will not tolerate a morsel of stray food. The historian’s one task is to tell the thing as it happened. (The historian) must sacrifice to no God but Truth; he must neglect all else; his sole rule and unerring guide is this - to think not of those who are listening to him now, but of the yet unborn who shall seek his converse. Lucian, then, clearly held historical accuracy in high esteem. 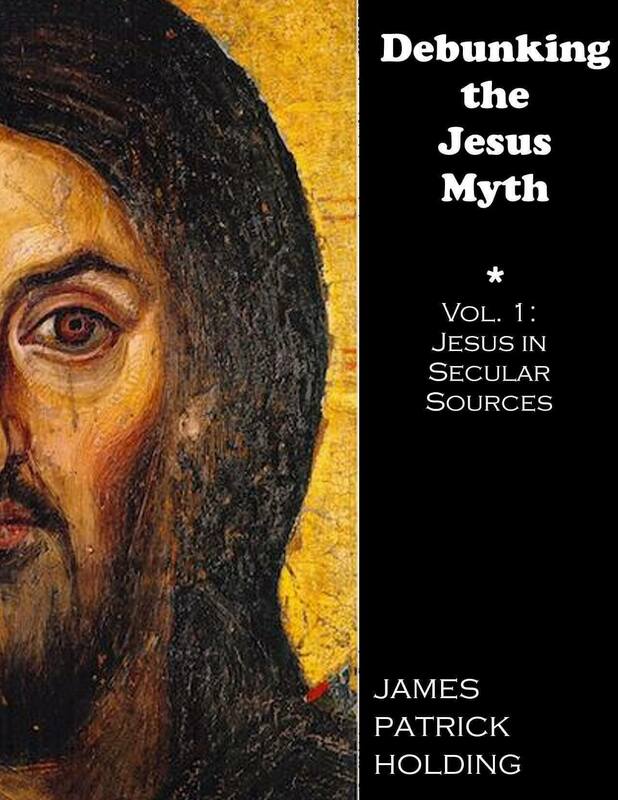 This leads to our second point: Considering that Lucian noted Christians for their simplicity and gullibility, valued historical accuracy, and was well-educated, well-traveled, and a major figure in a literary movement of his time, there is good reason to believe that he would not acknowledge the existence of Jesus if there were any doubt in his mind that Jesus actually existed. He would certainly have satirized Christian belief in a fictional or historically doubtful personage mercilessly, if any such arguments existed at the time. He was certainly in a good position to have known of such issues, being that he moved in the most educated of circles and very likely corresponded and consulted with leading figures of his day. In short, Lucian was a person who was in a position to know whether or not Jesus had genuine historical roots, and was exactly the sort who would raise any relevant doubts in order to enhance the impact of his satire. In response, critics may claim that Lucian’s reference is too far past the time of Jesus to be of any value. However, the lateness of this reference is more than made up for by Lucian’s critical capabilities and cannot be used to devalue this passage. Mere appeal to lateness is not a sufficient argument, for otherwise, a modern historian cannot write a reliable account of the Civil War. There is one charge of unreliability that has been leveled against Lucian that should be considered. Van Voorst implies that Lucian is in error in saying that Christians have “priests”; though he says that the term was used among Christians, words like “presbyter” were “much more common.”  But this need not amount to an inaccuracy by Lucian, since Christians clearly did use the term; moreover, Lucian is writing to a pagan audience who would know the term “priest” far better. Van Voorst also questions Lucian’s use of the term “scribes.” Because of its negative association in the Gospels, he thinks Lucian has ascribed the title anachronistically from Judaism, but this need not be seen as a title but rather as the name of a profession. What do we learn about Jesus and or Christianity from this historian/writer? Jesus is clearly regarded as the founder of Christianity. Lucian confirms the method and place of Jesus’ execution. Most of all, we learn a great deal about the attitudes and practices of Christians in Lucian’s time, and about the corresponding attitude of pagans like Lucian towards Jesus and the Christians. Jesus is recognized as a sage and a teacher of some worth; yet Christian belief is generally regarded as absurd. We therefore conclude that Lucian’s citation it is a more valuable testimony than has been generally recognized. Pliny, Letter to Trajan, X, 96. Van Voorst, op. cit., 27. Robert Wilken, The Christians as the Romans Saw Them (New Haven: Yale University Press), 6. Francis G. Allinson, Lucian: Satirist and Artist (New York: Copper Square Publishers, 1963), 99. H. W. Fowler, The Works of Lucian of Samosata (Oxford: Clarendon, 1905), 122, 126, 128. Van Voorst, op. cit., 60ff.